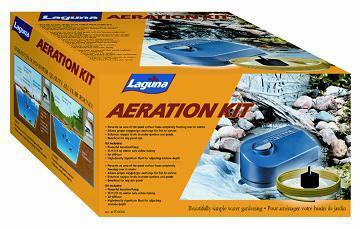 An entire aeration kit for your pond which includes an aeration pump, 30&apos; tubing, air difusser and float for airstone depth adjustment. Allows proper oxygen and gas exchange for fish survival. Uses less than 5w of electricity.